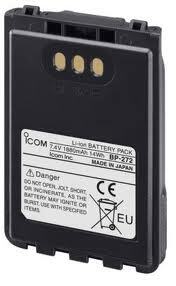 BP-272 : ICOM brand 7.4 volt 1880mAh rechargeable Li-ION battery for the ICOM ID-31A and ID-51A radios. Typical capacity 2000mAh. 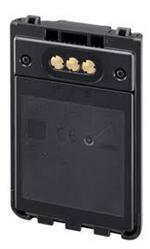 Provides extended talk time and high-watt TX capability. Re-charges with our new EMS-272 Rapid Charger, or with the ICOM BC-202 Rapid Charger, or with OEM wall charger, or with CP-12L DC Power Cord. 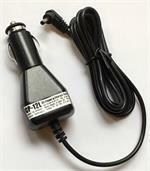 EMS-272: Desktop Rapid Charger for ICOM-style batteries such as BP-272Li, BP-271Li. 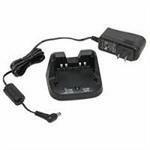 Includes worldwide AC-DC power supply. Charges battery alone, OR you can place the entire handheld in the charger. Charges battery in 2-3 hrs, with automatic shut-off.